Common Gold Fish - How Do You Keep Them At Home? 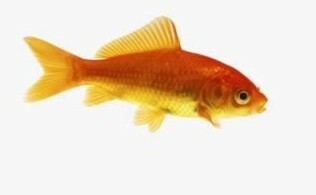 Common Gold fish are only differentiated from the first goldfish by their orange color rather than their original brown. There is some degree of variation to that orange color however. This tends to be in shades and hues rather than full color changes including a deeper orange approximating red and obviously the other way to a shade approaching white. These goldfish, not having many genetic changes are more hardy and stronger than the more exotic types. As such they make excellent pets that, if looked after properly should last anywhere from five to ten years even in water conditions that aren't perfect. Gold fish like to school in groups as they are quite social and have proved over time to be a popular pet for children and adults alike. Common gold fish care is reasonably easy for most people and even children if they are taught properly how to look after them. They are not particularly fussy eaters but do appreciate a good mix of food. This can include a top quality flake food plus "live" food such as brine shrimp or blood worms. Many good pet stores and aquarium shops carry these products and they also suggest you might buy these foods frozen to lessen the degree of parasite and bacterial infection from the live food. As I mentioned on my main goldfish page, these fish will appreciate a large amount of room to swim not only because they are quite active but because they produce a lot of waste matter and the more cubic centimeters of water you have the more diluted this waste matter will be. It goes without saying of course that you will definitely need some sort of filtration - and the bigger the better! This gold fish will also appreciate real or plastic plants (though it will probably eat the real ones) and having some sort of ornament or rocks etc. I don't like the ubiquitous "sunken ship", going for a more "natural feel" but you might like that sort of thing. It's totally a personal choice and that's the beauty of it. When trying to breed the gold fish you'll have less problems that the other more exotic types. You know when they are ready to breed because the male common gold fish develops small white spots around his gill area. The females become quite plump and the male chases the female continuously until she releases the eggs from her body. Indeed, sometimes the females have been known to die of exhaustion because the males are so determined and single-minded in their chasing of the female! Another thing to remember is to remove the small fry when they are born as they are liable to be gobbled up by the ravenous adult fish. Yes, it's shocking isn't it! If you put them into a separate tank you can feed them a specially prepared fry food that you can get from any good pet store or aquarium shop. These fish can be returned to the main display tank when they are bigger. Good luck keeping your fish! More Common Gold fish info..